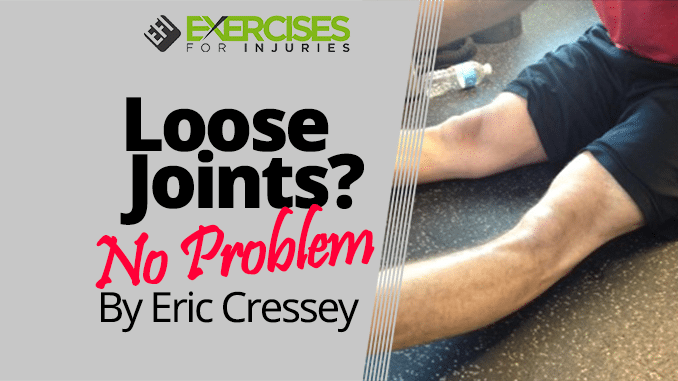 Today, I have a guest blog post from Eric Cressey on what to do about loose joints. At birth, we all have varying degrees of congenital laxity, meaning some of us have less ligamentous “give” than others do. Just like someone might make more or less or a certain hormone, certain individuals are more efficient at synthesizing collagen. People with congenital laxity really aren’t super proficient this regard, so they wind up with a lot more joint range-of-motion (ROM). In certain situations, this can be really advantageous; throwers, swimmers, and gymnasts can use this natural predisposition toward freaky ROM to be more successful in their sporting disciplines. 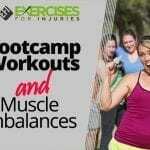 However, it also predisposes these individuals up to a host of other musculoskeletal issues, ranging from ankle sprains, to shoulder subluxations, to stress fractures, to hernias, to early osteoarthritis. Also, these folks are more likely to have detached retinas and gastrointestinal reflux disorder (and a host of other issues), because collagen deficiency affects not just skeletal muscles, tendons, and ligaments, but also visceral organs (smooth muscle), skin, blood vessels, and the tissues of the eye. According to Dr. Alan Pocinki, a renowned expert in this field, “To compensate for stretchy blood vessels and increased venous pooling (too much blood collecting in over-stretched veins) most people with hypermobility appear to make extra adrenaline, which may account for the high-energy, always-on-the-go lifestyles of many hypermobile people.” This is one reason why it’s not uncommon for hypermobile individuals to have anxiety issues and panic attacks; they are in chronic sympathetic nervous system overload. This obviously has implications in terms of poor sleep quality and impaired recovery capacity. 1. Take note of age, ethnicity and gender, age. Laxity becomes less prevalent as we age, you’ll see it more commonly in those of African, Asian, and Arab origin than in Caucasians. It’s also more common in females than males. 2. Note the “feel” of the handshake. You’ll typically feel a lot of “give” in these individuals’ handshakes, and their hands will often be cold – even when it’s really warm in the environment at hand. Their knuckles might even pop a bit. Now, considering a sedentary population, many trainers assume all individuals are incredibly tight and need to stretch until the cows come home. With that in mind, here’s a great example of an athlete who – at 6-4, 240 pounds – wouldn’t appear to be hypermobile to the naked eye. However, when you run a Beighton test, you quickly see that he’s actually got a lot of laxity, and his programs need to focus on building stability first and foremost. Stretch him, and he’ll get worse. Build stability, and he’ll thrive – all because you ran some simple tests ahead of time. So, we obviously know that if we’ve got these hypermobilie people under our care, we don’t want to be stretching them. What do we do, then, when they always feel “tight?” And, they absolutely will say this is the case all the time. The reason they feel “tight” is because their bodies will lay down trigger points to protectively lay down stability where they otherwise lack it. If you just stretch them, you destroy their joints and just continue the painful cycle. Instead, these individuals need to work on building stability within the ROM they already have with quality strength training. For the trigger points, they can do some extra foam rolling or get massage work done, especially if it helps them to wind down and shut off the sympathetic nervous system (fight or flight) for a bit. In terms of training them, most things are fair game, but you just need to make sure that they aren’t exaggerating the ROM on exercises; they need to stop short of where their end-range is. A great example is elbow hyperextension on push-ups; this is not something you want to see! Finally, monitor what they do between sets. A lot of hypermobile individuals will stretch while they’re resting without even thinking about it. We like to do what we’re good at doing, so you need to go out of your way to coach these individuals out of those habits. 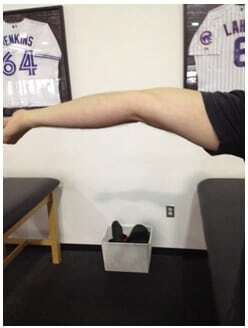 As you can see, identifying and managing hypermobile individuals can be a bit more time consuming and challenging, but it can also be tremendously rewarding, as these folks are often chronically mismanaged by inattentive or unprepared trainers and therapists. This population is an outstanding opportunity to really make a difference in someone’s life because of your unique expertise. 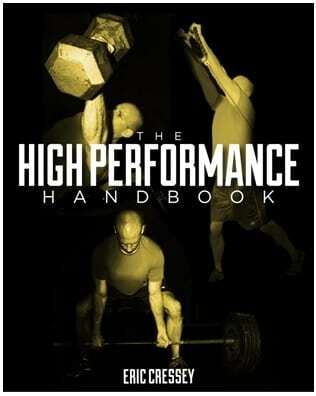 The Beighton Hypermobility Test is actually one of the screens we use in my new resource, The High Performance Handbook, which is on sale at a great introductory price this week only. For more information, head here. 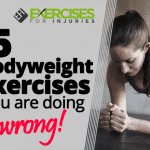 5 Bodyweight Exercises you are doing wrong!